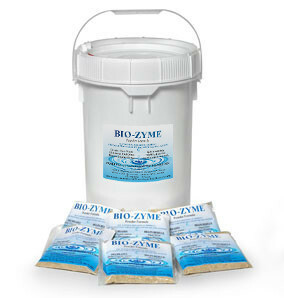 Bio-Zyme | Natural Lake Bacteria and Lake Aeration Products to produce a clean, healthy water column. Offered exclusively through TRM Biologics, Bio-Zyme is your safe, effective, and economical way to restore lakes and ponds to pristine, natural beauty. 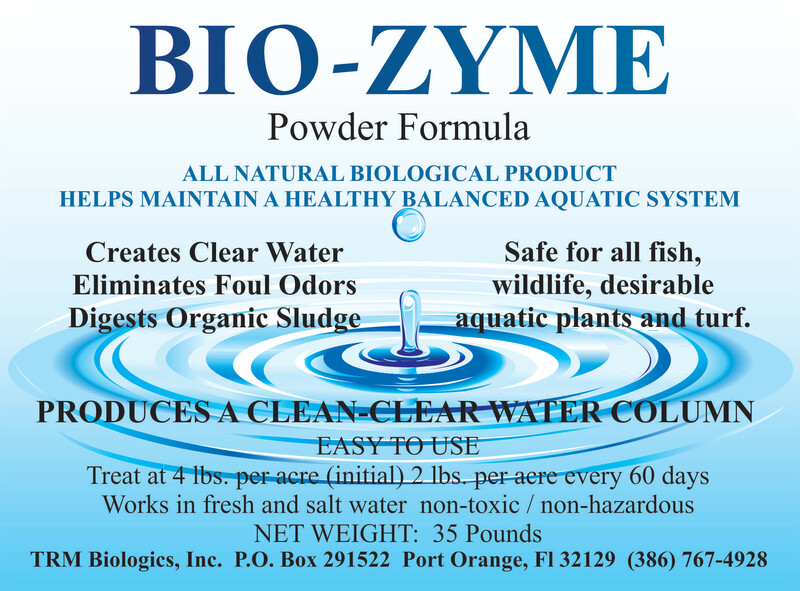 Bio-Zyme produces a clean water column that helps maintain a healthy, balanced aquatic ecosystem. Bio-Zyme is not a chemical. 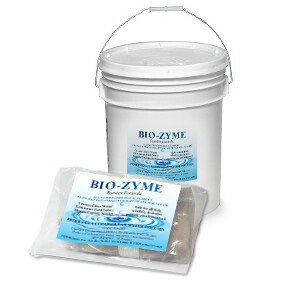 Our Bio-Zyme products are formulated with natural bacteria that compete within the aquatic environment for available N and P.
Bio-Zyme also contains sludge-digesting bacteria, which, when used as directed by TRM Biologics, will eliminate excess bottom sludge, and stop the severe rotten egg smell that comes with anaerobic sludge. "We have tried a multitude of biological enzymes in the past, but we have never seen the change in the water's appearance and clarity like we have from using Bio-Zyme." Southern Weed Control Management, Inc. Please accept this letter as confirmation that the Windstar on Naples Bay Master Association has shown a reduction in submerged vegetation (muck) as a result of using a bacteria product called Biozyme Eco-Socks for only nine months. We have an irregular shaped 19-acre storm water detention pond “lake” that had seen planktonic algae blooms due to high nutrient levels. Our vendor indicated that there has been results with this product where bacteria eat the muck and offered it as a potential solution. We had our lake bottom mapped for sediments in April of 2015 for our baseline. We had between 4 to 18 inches of muck in our lake. We began the Eco-Socks in late June of 2015 and in March of 2016 we had another sediment map done (mapping was done by an unrelated third party). The mapping indicated an average muck reduction of 2-3 inches, which we find very encouraging. We have begun discussions with our vendor to begin adding live bacteria (vs. the freeze dried eco-socks bacteria) that are reported to be even more effective. Windstar on Naples Bay Master Association, Inc.